This is so adorable!!! 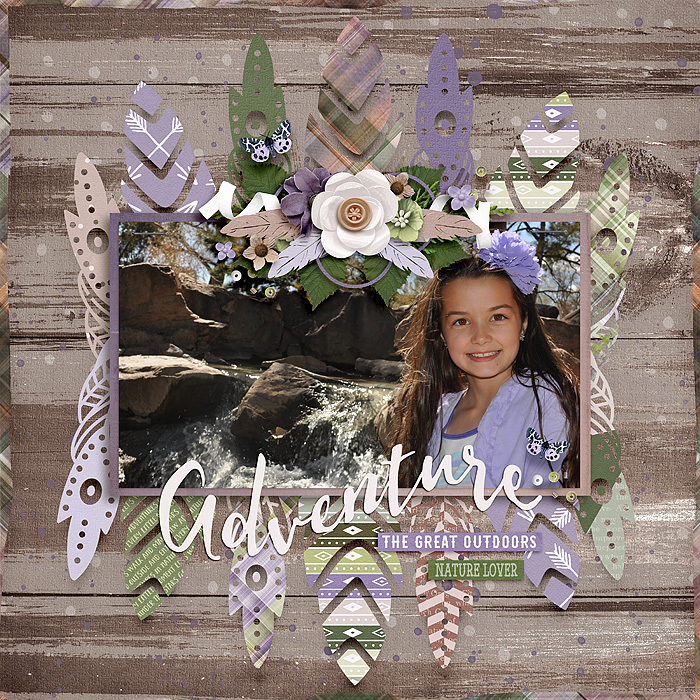 I love the feathers and the colors against the wood color of the background paper! I love that large photo and the large titlework moving along the bottom of the photo! This is absolutely gorgeous. It popped out of the gallery. This is gorgeous, Cassie! What an adorable photo of Aubrey! I love your paper choices on the feathers. The cluster with more feathers in it is awesome! !